Rosh Rayhaan Rotana - King Room - . Rosh Rayhaan Rotana - Twin Room (1-2 Adults) - . 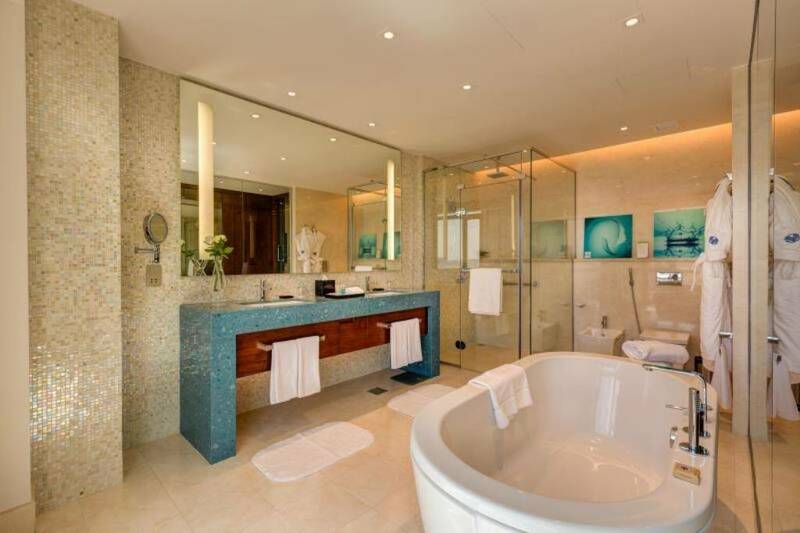 Rosh Rayhaan Rotana - Deluxe King Room - . 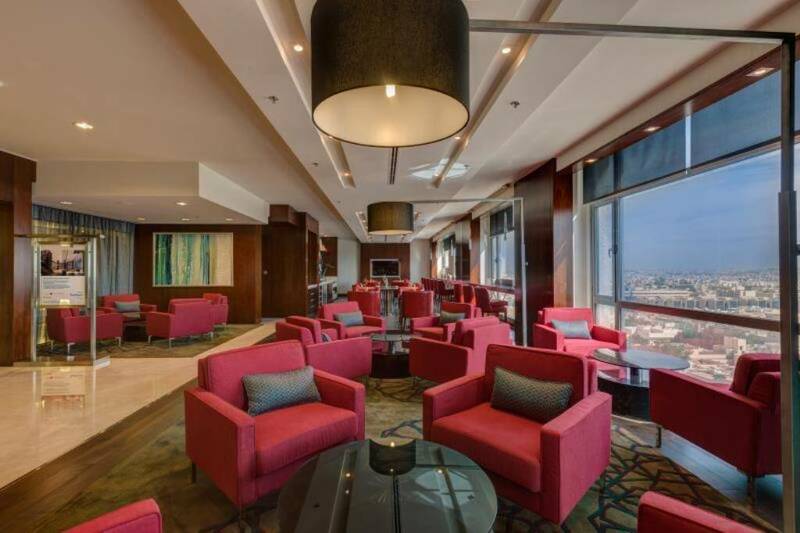 Rosh Rayhaan Rotana - Club Rotana Suite - . 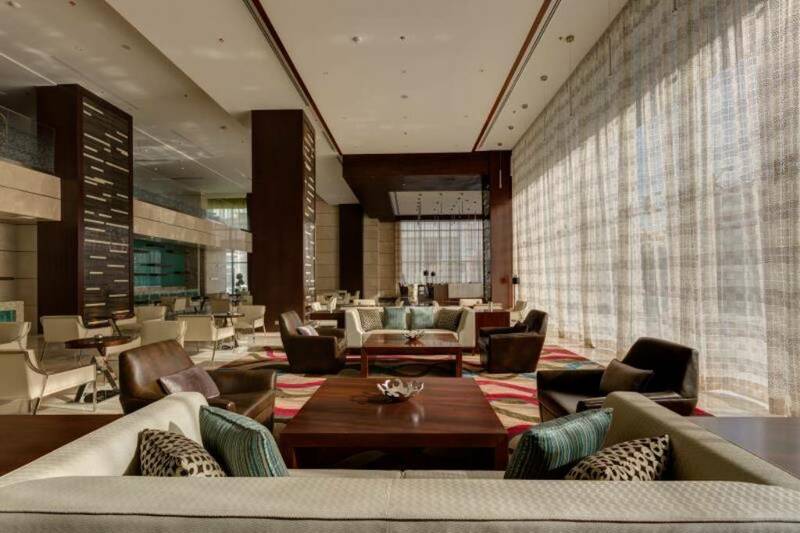 Rosh Rayhaan Rotana - Club Rotana Premium Suite - . 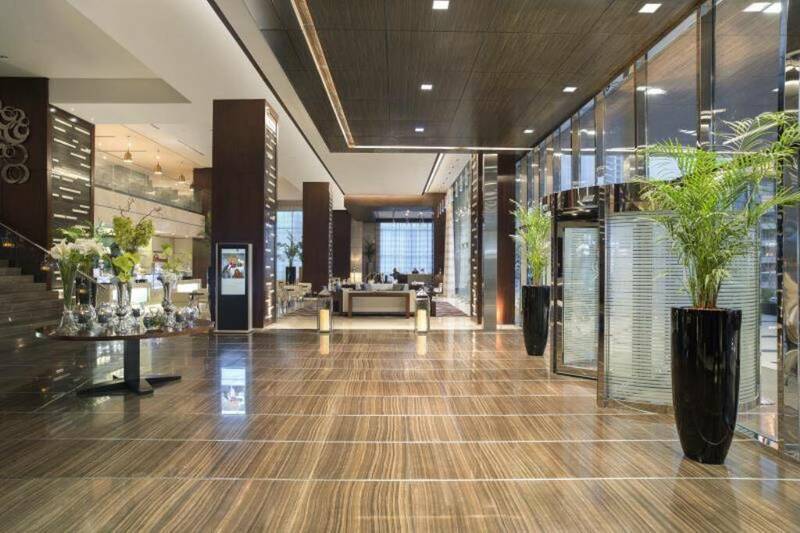 Rosh Rayhaan by Rotana is a Vibrant five-star Hotel in Riyadh subordinate to Rayhaan Hotels & Resorts by Rotana Hotel Chain, it is located in Olaya District, Riyadh. 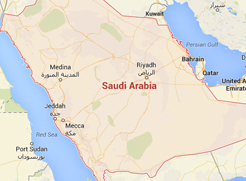 This hotel is ideal for business travellers and residents at leisure who like to be in a Riyadh hotel. 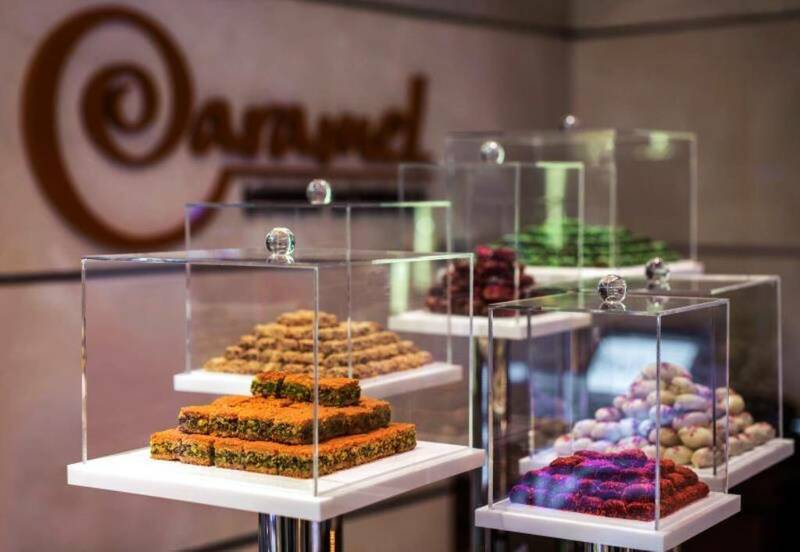 It is only 1.5 km from Panorama Mall, and it is 29 km away from King Khalid International Airport. With its unique location, the hotel owns a wonderful design, and a comfortable furniture. 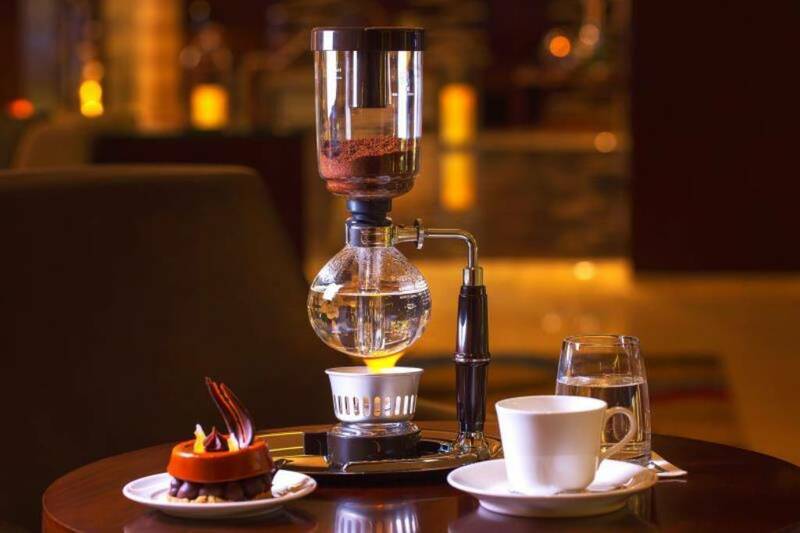 Rosh Rayhaan by Rotana includes five food and beverage outlets, two restaurants, and three coffee shops and lounge. Enjoy discovering Riyadh City by visiting the important landmarks such as: Jarir Bookstore, Centria Mall, Abdulrahman Al Mishari Hospital, Dr. Sulaiman Al Habib Olaya Medical Complex, and Elite Hospital. It offers free WIFI and public, and private parking lot to enjoy a wonderful stay. 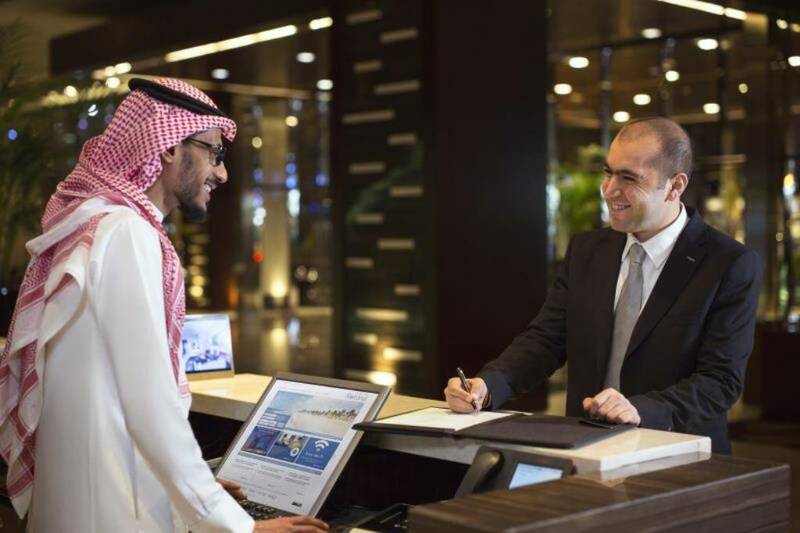 When would you like to stay at Rosh Rayhaan Rotana? This room includes one extra large double bed, the room also offers mini bar, electric kettle, seating area, dining area, and private bathroom. It is with an area of 45 square meters to enjoy a comfortable stay. 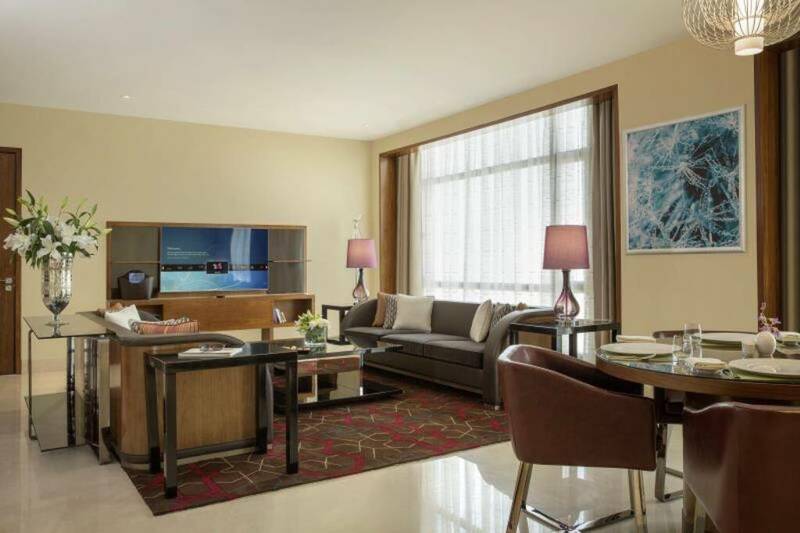 Rosh Rayhaan Rotana - King Room - Rosh Rayhaan Rotana - King Room - Rosh Rayhaan Rotana - King Room - . 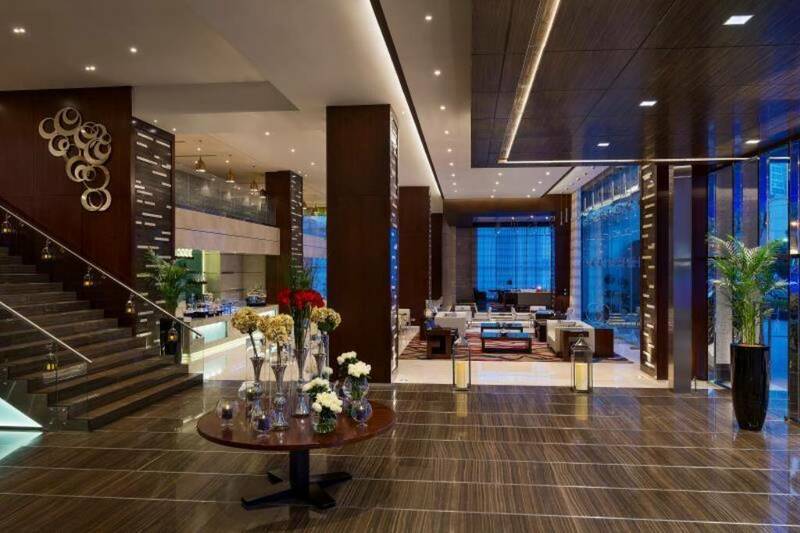 Rosh Rayhaan Rotana - Suite - . This suite includes one extra large double bed, the suite also offers separate living room, dining area, mini bar, electric kettle, seating area, and private bathroom. 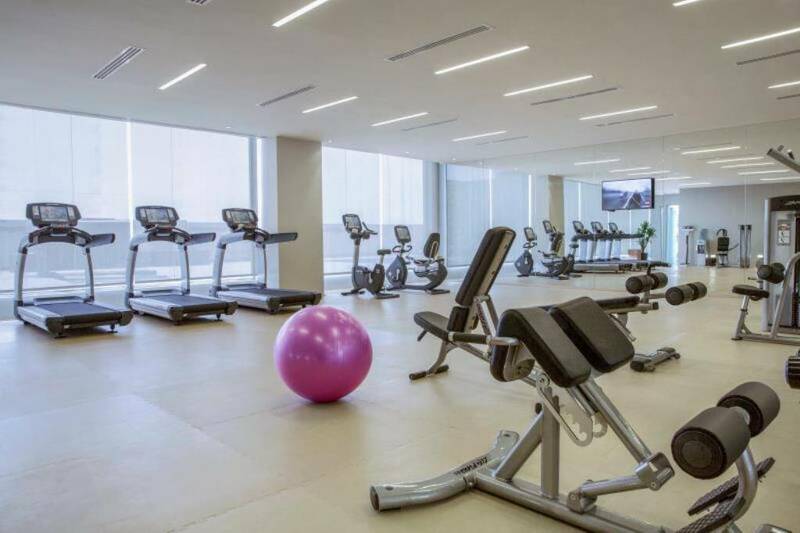 It is well equipped with high-end facilities, and it featuring a city view, it is with an area of 78 square meters to spend a comfortable stay. 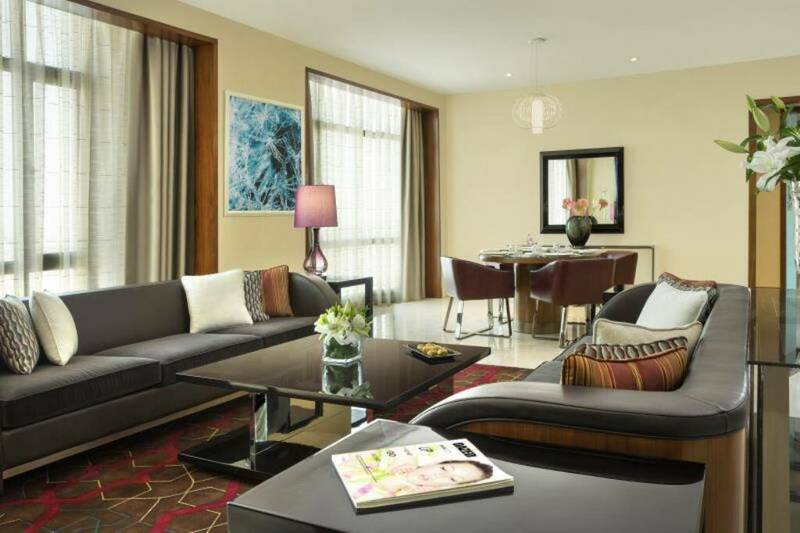 Rosh Rayhaan Rotana - Classic Suite - . This suite includes one extra large double bed, the suite also offers living room, dining table, mini bar, electric kettle, seating area, dressing room, kitchenette, coffee machine, and private bathroom. It is well equipped with high-end facilities, and it featuring a city view, it is with an area of 128 square meters to spend a wonderful stay. 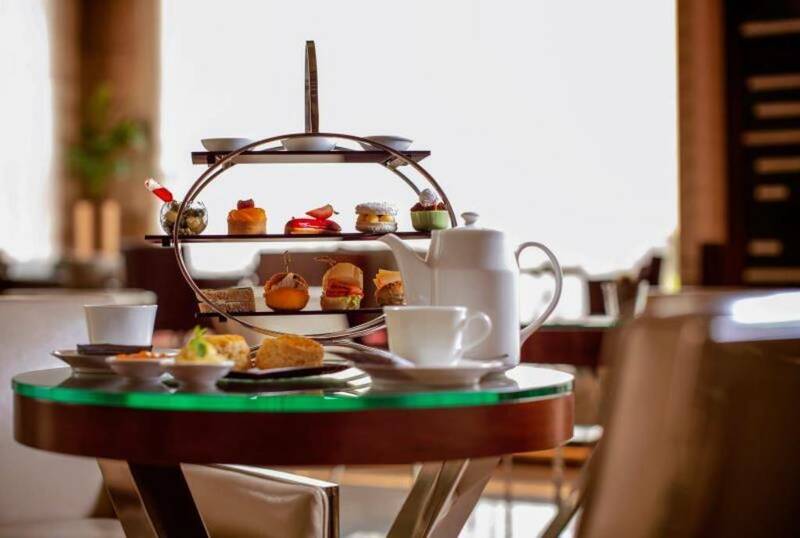 Rosh Rayhaan Rotana - Club Rotana Premium Suite - Rosh Rayhaan Rotana - Club Rotana Premium Suite - Rosh Rayhaan Rotana - Club Rotana Premium Suite - . This suite includes one double bed, the suite also offers separate living room, dining area, dining table that seats 4 persons, mini bar, electric kettle, seating area, and private bathroom. It is well equipped with high-end facilities, and it featuring a city view, it is with an area of 78 square meters to spend an elegant stay. Rosh Rayhaan Rotana - Club Rotana Suite - Rosh Rayhaan Rotana - Club Rotana Suite - Rosh Rayhaan Rotana - Club Rotana Suite - . Rosh Rayhaan Rotana - Deluxe King Room - Rosh Rayhaan Rotana - Deluxe King Room - Rosh Rayhaan Rotana - Deluxe King Room - . 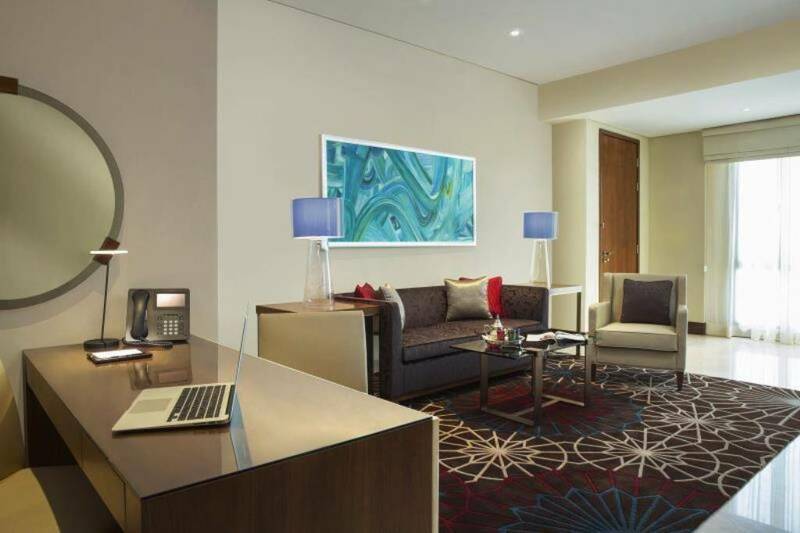 Rosh Rayhaan Rotana - Premier Twin Room - . This room includes two single beds, the room also offers mini bar, electric kettle, seating area, dining area, and private bathroom. It is with an area of 58 square meters to enjoy your stay. 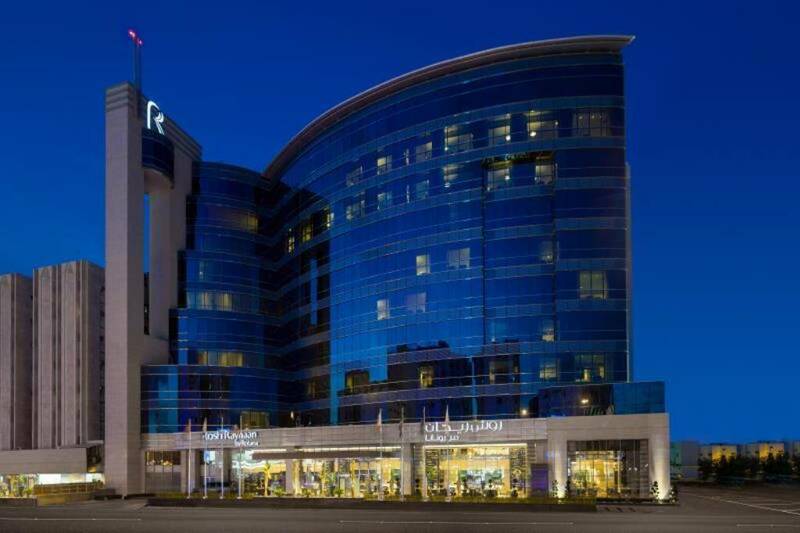 Rosh Rayhaan Rotana - Premium Double Room - . This room includes one extra large double bed, the room also offers mini bar, electric kettle, seating area, dining area, and private bathroom. It is with an area of 58 square meters to spend a comfortable stay. 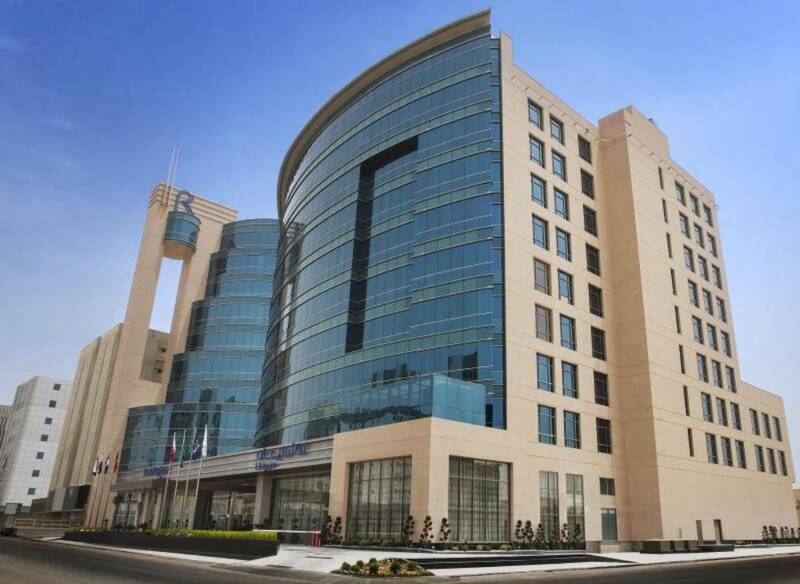 Rosh Rayhaan Rotana - Standard Double or Twin Room (2 Adults) - . Rosh Rayhaan Rotana - Standard Double Room (2 Adults) - . 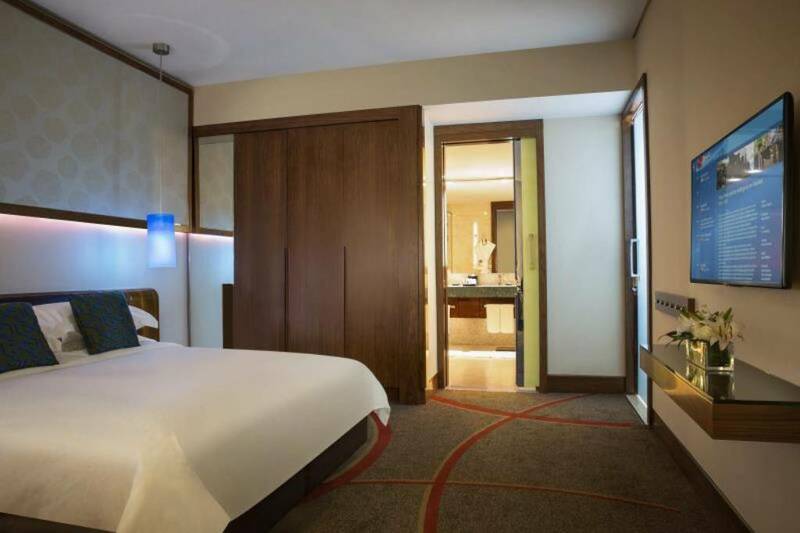 Rosh Rayhaan Rotana - Superior Double or Twin Room (1-2 Adults) - . This room includes two single beds, the room also offers mini bar, electric kettle, seating area, dining area, and private bathroom. This room featuring a City View, it is with an area of 45 square meters to enjoy your stay. Rosh Rayhaan Rotana - Twin Room (1-2 Adults) - Rosh Rayhaan Rotana - Twin Room (1-2 Adults) - Rosh Rayhaan Rotana - Twin Room (1-2 Adults) - . 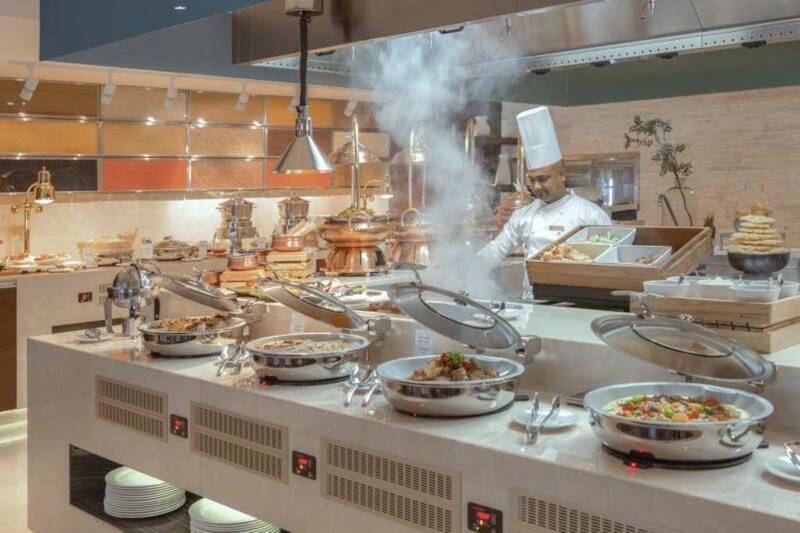 Rosh Rayhaan by Rotana consists of eight floors, and contains a highly convenient units with total number of 160 rooms and suites, that are well furnished and designed in light colours, fully equipped with all sort of services and amenities. You can enjoy a City View from some units. The units have several decors with types and sizes include: Classic King Room, Classic Twin Room, Premium Twin Room, Twin Club Rotana Room, King Club Rotana Room, King Premium Club Rotana Room, Twin Premium Club Rotana Room, Classic Suite, Club Rotana Suite, and Club Rotana Premium Suite. 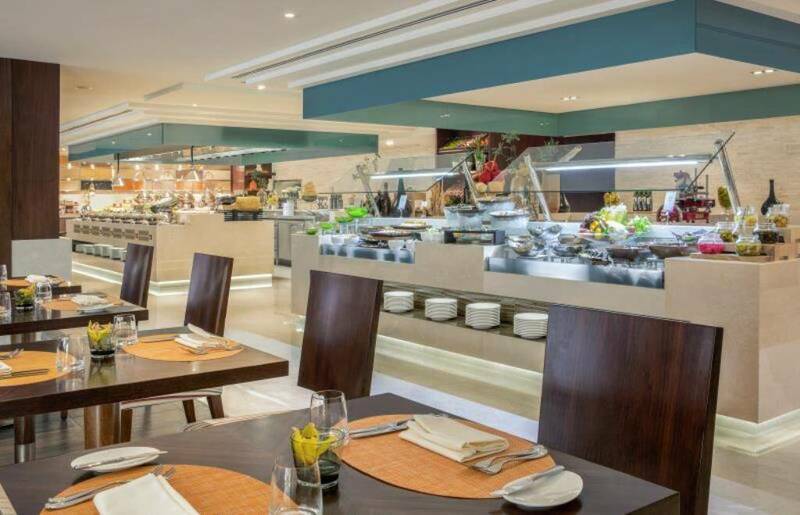 - Flavours Restaurant all day dining, that offers international dishes from famous chefs. 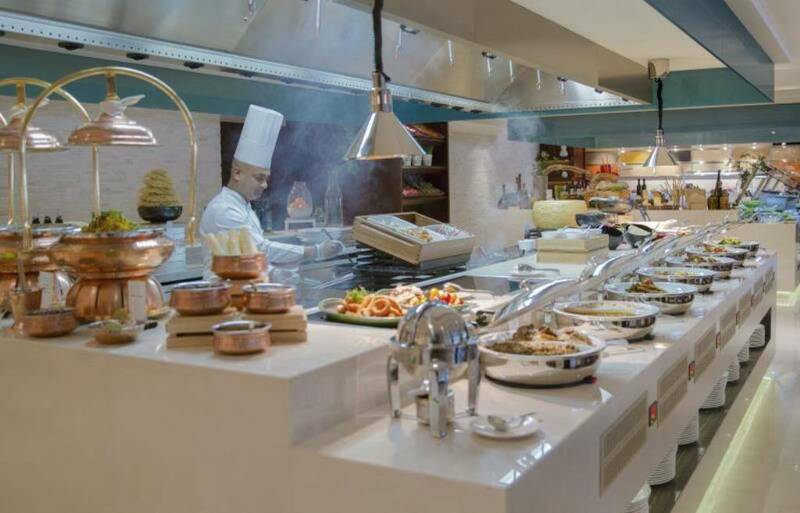 - Spectrum Restaurant that offers multi-cuisines from around the world. 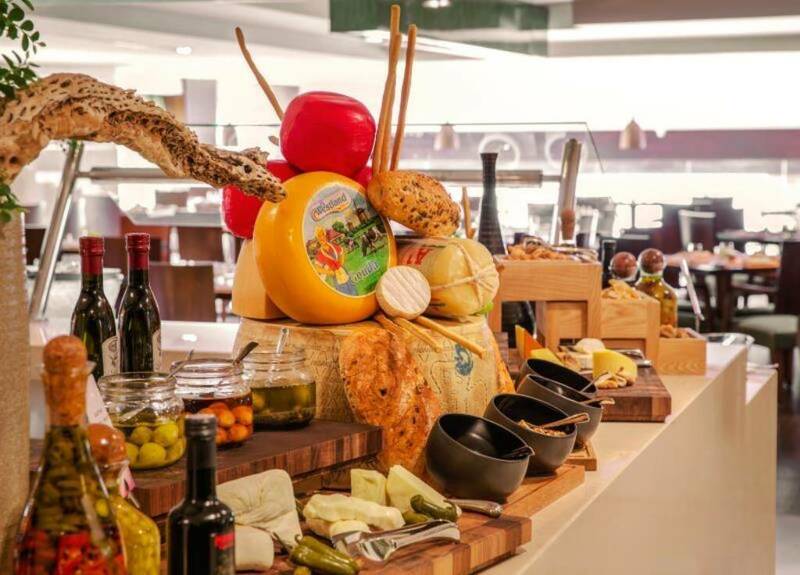 - SAMA Lounge is an open air lounge offers snacks and drinks. - Oasis Pool Caf&eacute; is an open air lounge offers fresh drinks. 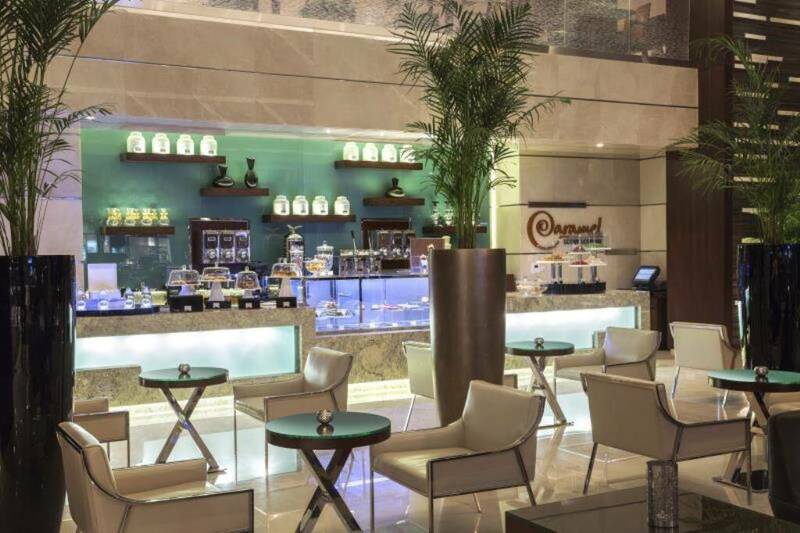 - Caramel Lobby Lounge, where you can introduce your clients to a new definition of casual meeting. Rosh Rayhaan by Rotana includes outdoor temperature controlled swimming pool on the third floor, the pool area fits up to 80 guests. 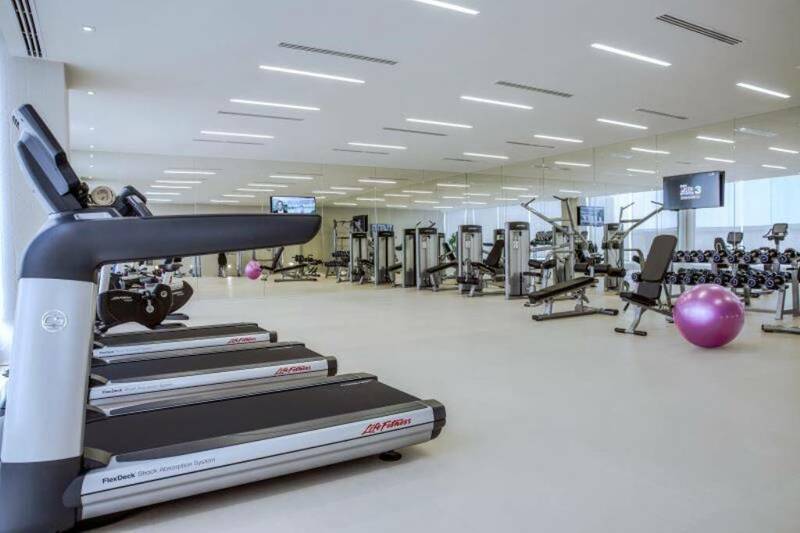 Bodylines Fitness &amp; Wellness Club offers a fully equipped gymnasium with state of the art facilities along with cardiovascular and free weight training area. A personal trainer is available upon request and can provide casual consultation or private training sessions for Bodylines members or in-house guests. The personal trainer is fully equipped and experienced to provide cardio, weight loss and bodybuilding sessions. 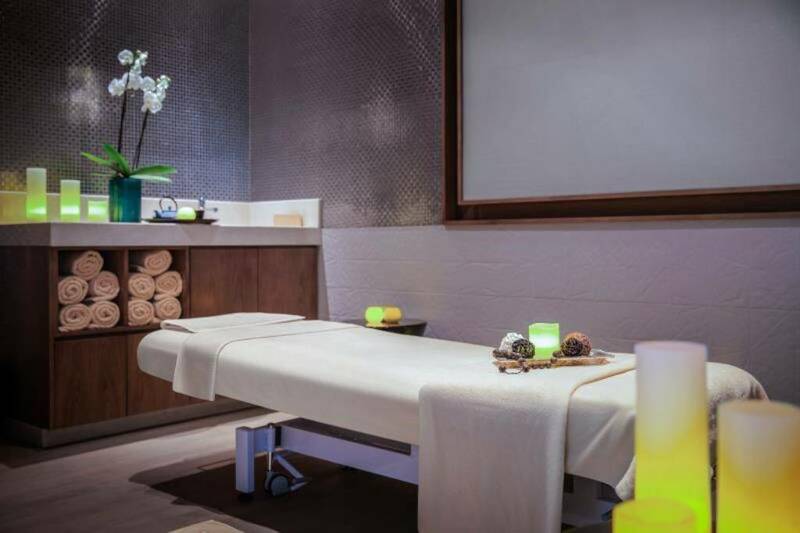 There is also Sauna and steam room, moreover, 5-highly comfortable massage rooms with specialized massage therapists. Rosh Rayhaan by Rotana includes nine well-equipped meeting rooms, fully equipped with all the tools and technology required to conduct business efficiently. Al Mas Ballroom can accommodate to 90 people. Al Mas Meeting Room 1 &nbsp;can accommodate to 45 people. Al Mas Meeting Room 2 can accommodate to 45 people. Al Mas Meeting Room 3 can accommodate to 50 people. Meeting Plus 1 &nbsp;can accommodate to 75 people. Meeting Plus 2 &nbsp; can accommodate to 60 people. Almudara' Meeting Room 1 can accommodate to 16 people. Almudara' Meeting Room 2 can accommodate to 16 people. Almudara' Meeting Room 3 can accommodate to 16 people. Rosh Rayhaan by Rotana includes a modern decorated five-star wedding venue, Al Mas Ballroom that can accommodate to 360 people.